A woman searching for the truth… Kidnapped and thrown in an underground prison, journalist Tess Newell thinks she’s a goner. Stopping the terrorists holding her hostage seems impossible—until the arrival of a mysterious prisoner whose smile masks an edge more lethal than their captors. 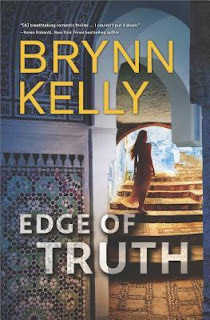 Edge of Truth is another adrenaline roller coaster ride from Brynn Kelly, the author who brought us the fantastic mash-up of thriller/romance that was Deception Island. 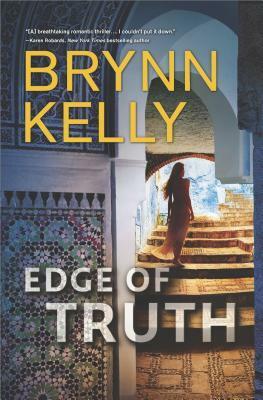 Edge of Truth is a story of international conspiracy and war-mongering, played out in the Horn of Africa. Tess Newell is a well -known tele-journalist, unfortunately known more for a high-profile romance break-up than for her journalism. But Tess has uncovered a huge story of corruption and conspiracy, and is desperate to get the story out before the world is plunged into a major conflict – and she has been captured by the conspirators. Edge of Truth is a great adventure read, the conspiracy, although pretty mind-blowing, is actually quite believable given how wacky our political world has become. And the novel deals a lot with journalistic integrity, and also personal motivation, whatever your role in war might be – soldier, journalist, materiel supplier. As with Deception Island, we learn a lot about the main characters and why they might have difficulties trusting those around them. Rafe and his crew also make an appearance, as do some of Tess’ colleagues, so the plotting has a nice build of both action and cast. Add to that the wonderful location of Harar, Ethiopia, and you have a luscious read.